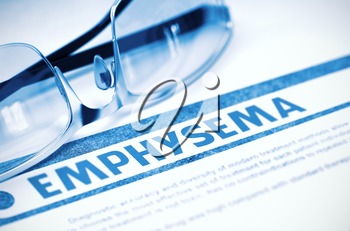 Emphysema - Printed Diagnosis on Blue Background and Eyeglasses Lying on It. Medical Concept. Blurred Image. 3D Rendering.